Saw Palmetto contains a number of beneficial compounds, including flavonoids, sterols and fatty acids that may support prostate health. 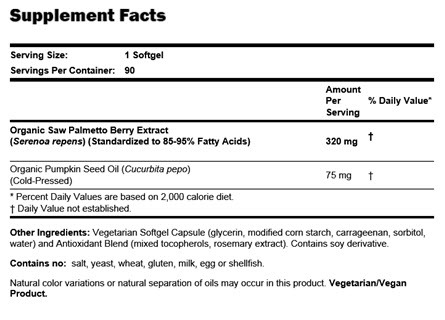 NOW Saw Palmetto 160mg used to suggest one softgel per day. The Suggested Usage now states I should take 2 softgels per day, but the dose per softgel has not changed. Why the increased amount? New scientific studies have shown that Saw Palmetto more effectively supports prostate function at a higher dosage of 320mg daily. We certainly do not want our customers to pay more for the same product, but we feel it is important to update our products according to current research findings, hence the change in Suggested Usage. You may still take one softgel daily, but this may not be as effective as the increased dosage indicated by recent research. Saw palmetto is LIKELY UNSAFE when used during pregnancy or breast-feeding. It acts like a hormone, and this could be dangerous to the pregnancy. Don't use during pregnancy or breast-feeding. Saw palmetto might slow blood clotting. There is some concern that it might cause extra bleeding during and after surgery. 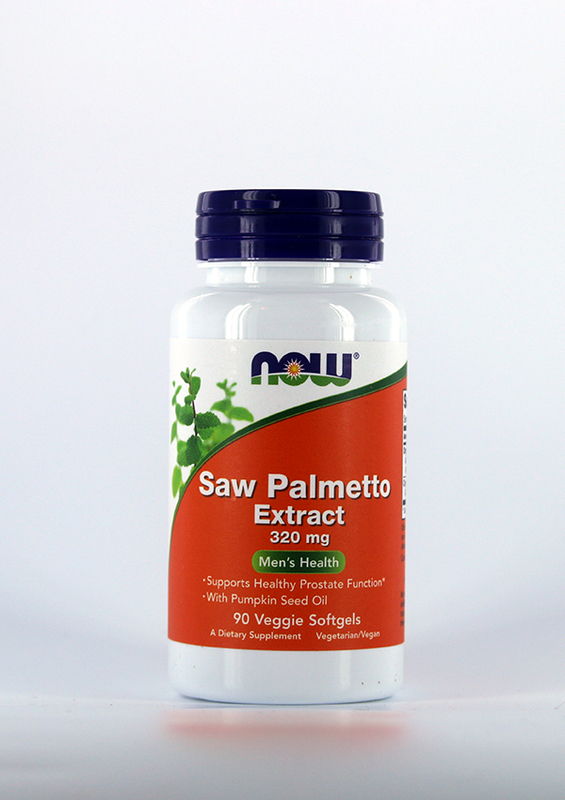 Stop using saw palmetto at least 2 weeks before a scheduled surgery.